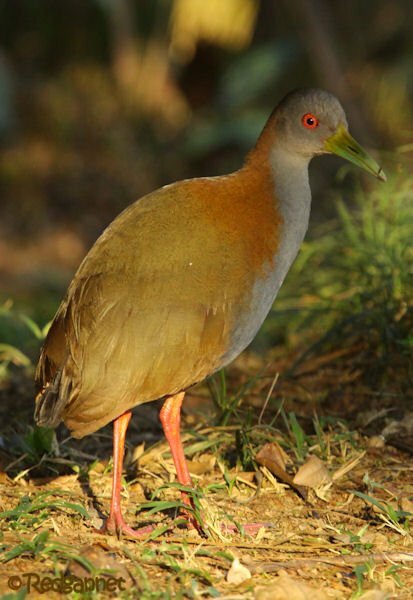 Brazil boasts 5 of the World’s 8 species of Aramides rails. 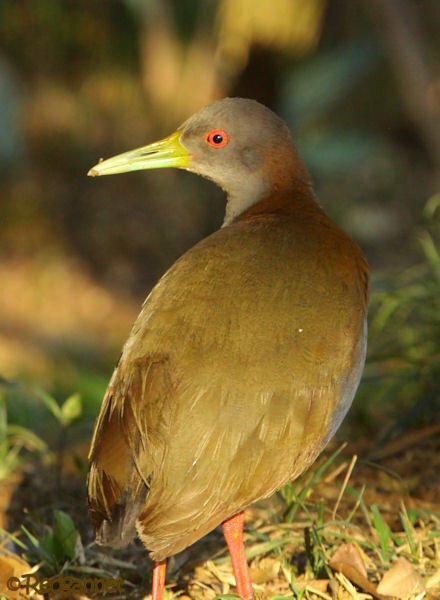 They all show a combination of grey, rufous, chestnut and black plumage with yellow/green bills and orangey/red legs. 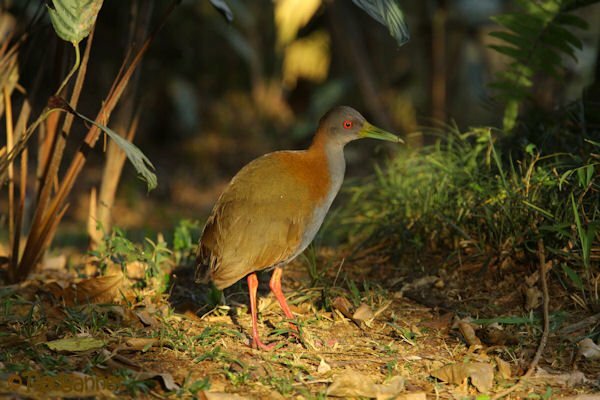 The 10,000 Clicks section of 10,000 Birds is fast becoming the repository for Aramides archives as we bring you the third in the enthralling series. Click the links for Episode 1, Episode 2, or binge blog the box-set. 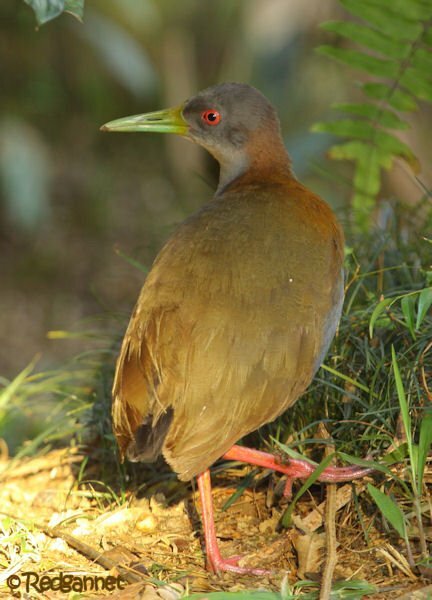 Aramides – Episode 3 – The Slaty-breasted Wood-Rail. Aramides saracura. 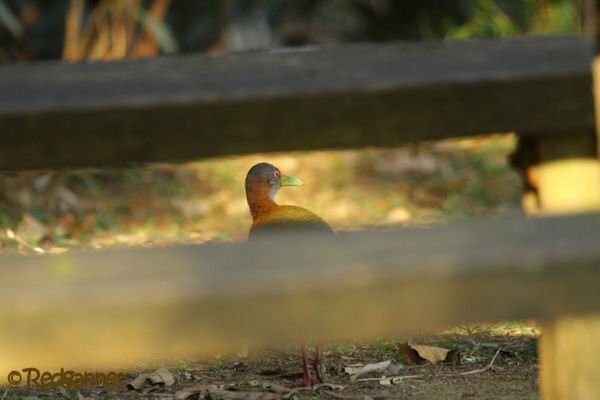 Two birds were seen as the light faded and the shadow of the forest lengthened across the lawns at the Jardim Botanico do Sao Paulo. 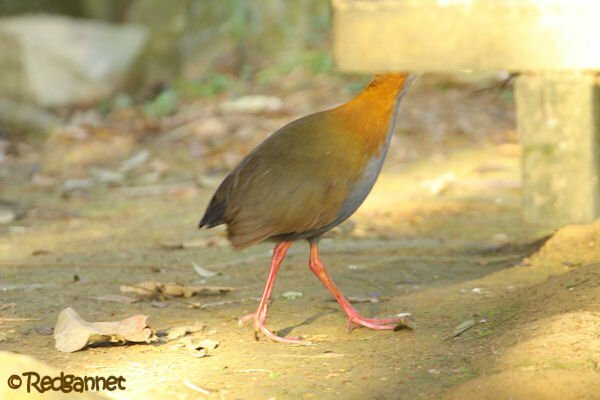 The rails are seen regularly here and even venture out from the forest edge while children shriek and play on the grassed areas. Today had been especially noisy and they had waited to emerge until the cries died in the distance as the school groups headed towards the exit. 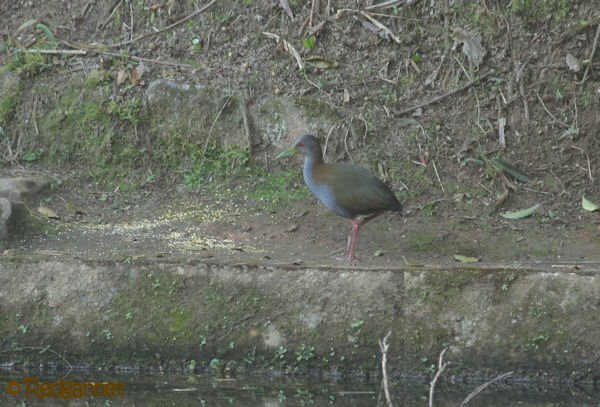 From 30 meters away, I was happy enough with a record shot that would confirm my identification, but I had to continue past the wood-rails to reach the exit by closing time. The rails retreated towards cover as I approached but I knew that I still had a few minutes to play with before the security guards started blowing their whistles to chivvy visitors out of the gardens. 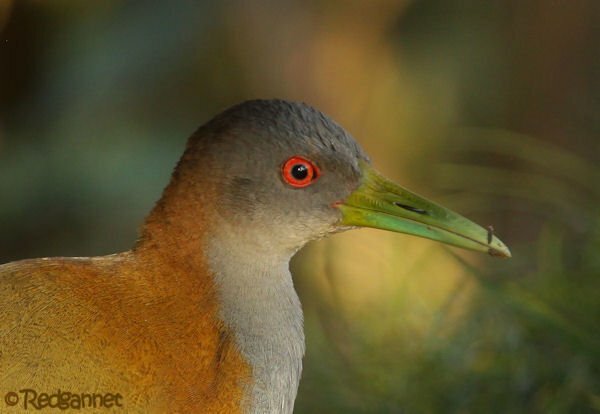 I stopped at some picnic tables and the wood-rails were still in view. Perhaps I could make one good picture out of two through the power of Photoshop magic? Then Fortune shone upon me (I can only assume that I must have been good in a previous life to deserve such luck) as one of the rails stopped in the half-light and looked back at me. Not only did the bird stand pleasingly still, but I had sat at one of the picnic tables and was able to use my camerabag as a rest. Shots of 1/25th sec were reasonably sharp and the rail treated me to a range of poses. Including this one which may have an equivalent in Hatha Yoga. Great pictures of a very tough bird!! You are certainly living well, or perhaps karma is coming back you for a previous good deed! Why Are Red-breasted Nuthatches Irrupting?